You can use this worksheet for practising the vocabulary you need for giving information about what you do every day: get up, have breakfast, go to school, have lunch, do the homework etc. The well-known action-song with lyrics, vocabulary and guitar chords. 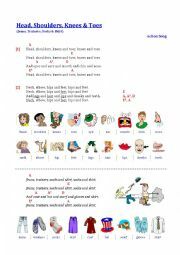 There is a version for practising clothes vocabulary as well: �Jeans, trainers, socks & skirt�. 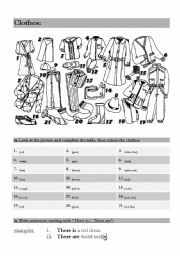 This worksheet combines clothes with colours. Enjoy. 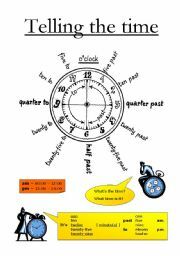 I use this worksheet when I teach the days of the week. I usually use it as a transparency and the students copy the story into their books. They like it a lot! 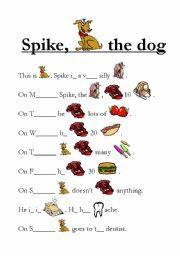 I�ve got onother one which is called "Spike, the dog". Choose what you like. I use this text when teaching the days of the week. The kids like it a lot. I hope you will as well! 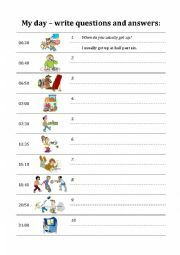 With this worksheet you can practise mini-dialogues about daily routines. You have to write questions and give the appropriate answers. 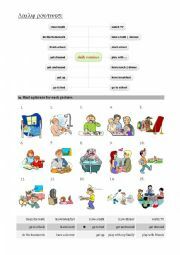 Good for practising present tense or adverbs of frequency as well. Answer key included. 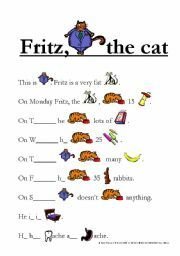 I use this paper for practising the months of the year together with ordinal numbers. The children cut out the pictures and a create a nice text about the months. 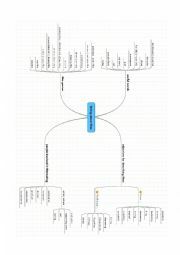 I used this mindmap when I was talking about films with my students. It�s a good word file and you can add the translations. SpongeBob has always been a favourite in my English lessons. 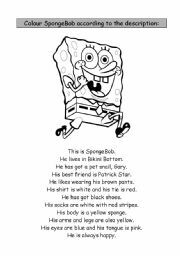 Here�s a description of Bob which the students can read. Afterwards they can colour him the right way. This is some fun stuff from "Struwwelpeter". My students like it!